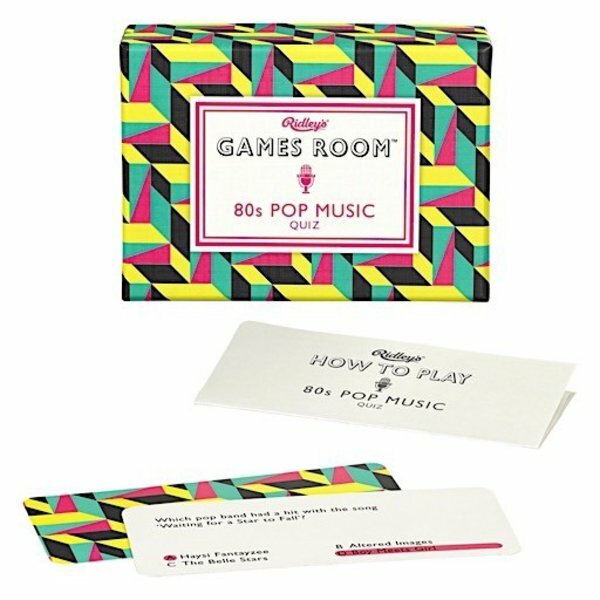 With a host of questions spanning the decade, you’ll have fun remembering all those classic pop hits with this trivia game from Ridley’s Game room. Includes 140 question cards with multiple choice answers and full instructions. Dimensions: 5W x 3.5H x 2D inches.